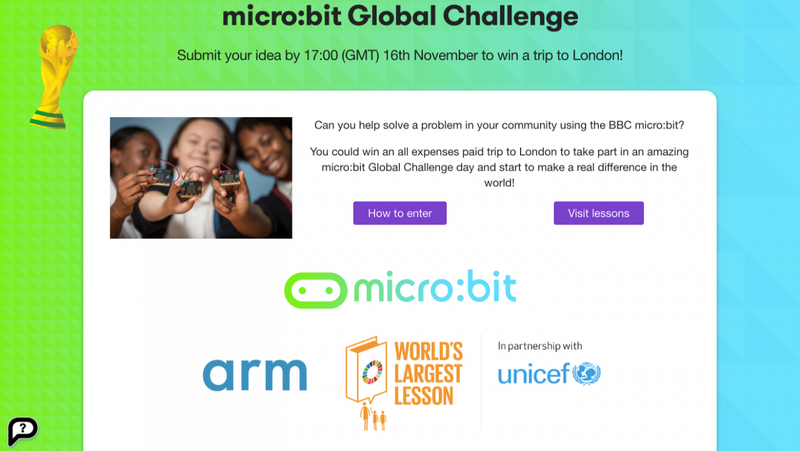 Can you help solve a problem in your community by using the BBC micro:bit?You could win an all-expenses-paid trip to London to take part in the amazing micro:bit Global Challenge day and start to make a real difference in the world! The Sustainable Development Goals or Global Goals have been created to reduce inequality and to create a world that is fair for everyone, where no-one is left behind. 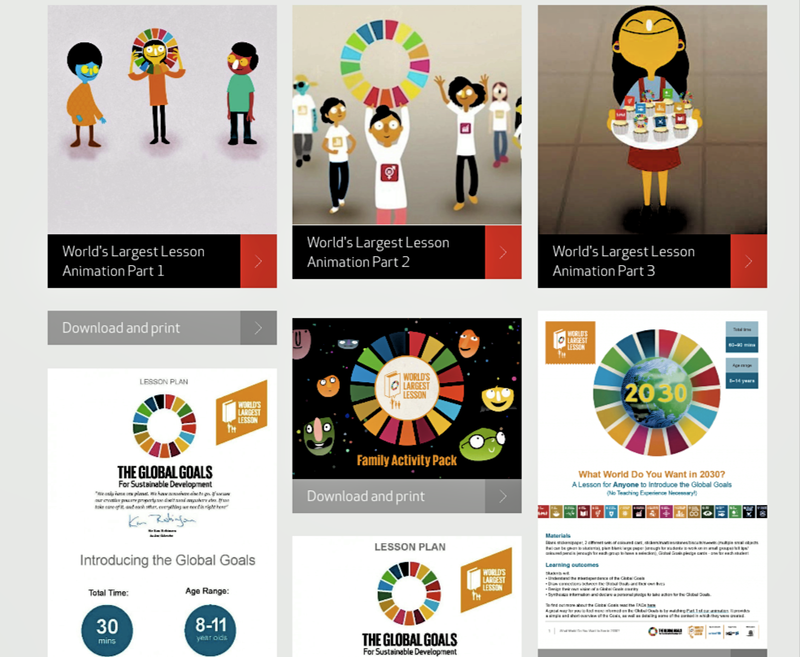 We want you to think about how you can help achieve goal 3 (Good Health and Wellbeing), 4 (Quality Education), and 16 (Peace, Justice and Strong Institutions) by focusing on the themes, non-communicable diseases and safety. How can we ensure that people stay healthy and choose healthy lifestyles? How do we make sure all communities are safe for people to carry out their jobs and attend school?If you want to find out more about the themes, take a look at our teaching resources. 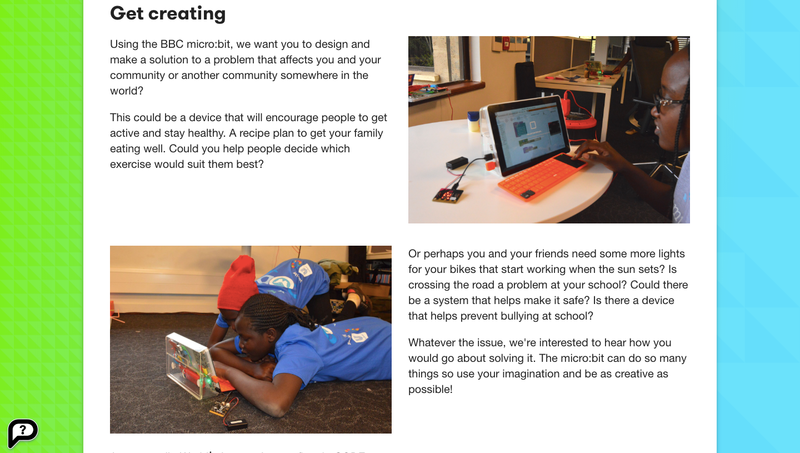 By using the BBC micro:bit, we want you to design and make a solution to a problem that affects you and your community or another community somewhere in the world. This could be a device that will encourage people to get active and stay healthy. It could be a recipe plan to help your family eat well. Could you help people decide which exercise would suit them best? Or perhaps you and your friends need some more lights for your bikes that start working when the sun sets? Is crossing the road a problem at your school? Could there be a system that helps make it safe? Is there a device that helps prevent bullying at school? Whatever the issue is, we’re interested to hear how you would go about solving it. The micro:bit can do so many things so use your imagination and be as creative as possible! Don’t worry if the problem you want to work on seems small. Remember that small changes can have a big impact! The competition is open to young people across the world aged 8-12. You may work in a team or as an individual on the challenge. Unfortunately only one person will be able to travel to the Global Challenge finale event, so make sure you discuss this with any team mates in advance. The competition is free to enter and you don’t even have to have a micro:bit to take part. If you’ve got an idea, put it down on paper or use the Let’s Code page. We’ll accept photos of your plans, too. For full competition details and rules, please read the Terms and Conditions. This entry was posted in Microbit, 逛展覽遊活動 and tagged BBC Microbit, micro:bit, 逛展覽遊活動.